Natural lemon flavor, mixed tocopherols. Soft gel shell: beef gelatin, glycerin, water. Contains calamari. Adults: Take one soft gel once or twice daily, at mealtime. Natural lemon flavor, mixed tocopherols. Soft gel shell: Beef gelatin, glycerin, water. The sustainability of our environment pertains to us all. 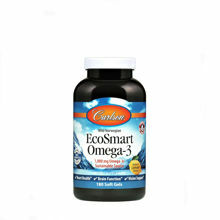 EcoSmart Omega-3 is an eco-friendly and highly sustainable source of the important omega-3's, EPA and DHA. 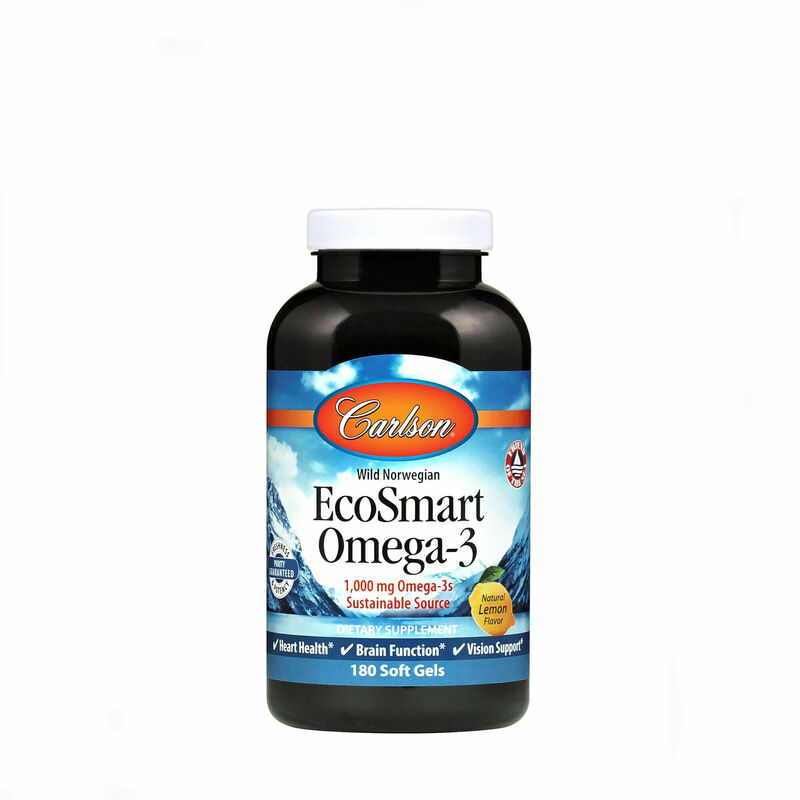 EcoSmart Omega-3's easy-to-swallow soft gels provide the omega-3's that support brain, vision, joint & cardiovascular health. EcoSmart Omega-3: Healthy for you. Healthy for our Earth. Other ingredients: natural lemon flavor, mixed tocopherols. Soft gel shell: beef gelatin, glycerin, water.